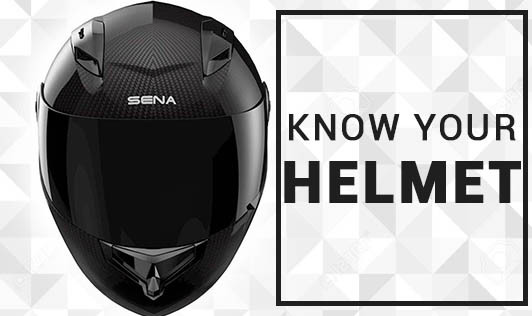 Wearing a helmet while you ride your two - wheeler is an important step towards safety, as it reduces the severity of a head injury in case of a crash. But have you ever wondered what makes a helmet withstand a severe impact? The shell- The shell is made of a pressure - molded thermostat that is reinforced with glass fibers. It helps to distribute the forces from an impact of a metal beam or a sharp structure that may fracture the skull. The energy of the impact is absorbed well through this mold. Since the shell is rigid and has a convex shape, it allows one to slide on the road surface without excessive force. A full - face helmet helps protect temples and jaw and prevents facial bone fractures. The foam liner-It is the polyurethane foam - molding which has the capacity to compress the shock by 90% during an impact. It provides a stopping distance which is the greatest advantage. Strapping system-Wearing a well - fitting helmet is utmost important. To test if the helmet is fitting you well, fasten the chinstrap and try pulling the helmet off forward by gripping the rear. The strap should be threaded correctly and the buckle straps should lock properly. So every time you ride, make sure you have strapped your helmet securely under your chin.